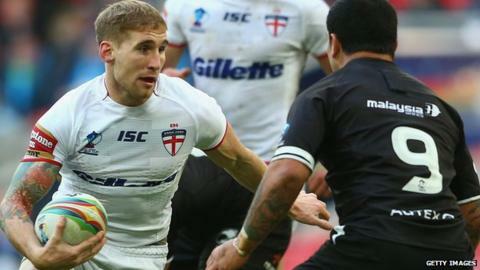 England will play defending champions Australia in the opening match of the 2017 Rugby League World Cup. The 15th edition of the tournament is being jointly hosted by Australia, New Zealand and Papua New Guinea and begins on 27 October in Melbourne. England will also play Lebanon for the first time, while France are the other team in Pool A.
Scotland will face 2013 finalists and co-hosts New Zealand along with Tonga and Samoa in the second pool. There are 14 teams in the competition and three spaces remain up for grabs from this autumn's European qualifying section, which features Wales, Ireland, Spain, Serbia, Italy and Russia. England, who were knocked out in the semi-finals of the last World Cup, launched a bid in June to host the 2021 edition.